Around the time I moved from DC to Norfolk, Dan and I started talking about driving to Savannah, GA for the weekend. We talked about seeing the mossy trees and walking along the river. We planned trips to see lighthouses and Civil War forts. We researched the vegan spots in town, and we planned on just kinda hanging out with each other. I mean, what's more fun than a day trip with your best friend? There was something strangely satisfying about heading to Savannah for our first anniversary as a married couple. There was a rosiness around everything we did, a romantic glow that came from doing things we had mused about for years. We're going to do a big Savannah, GA Summer Trip write-up this week. But for now, here's what we had for dinner the night we got home. We cleaned up at the huge farmer's markets between Savannah and Norfolk, and this is what we did with the North Carolina okra we bought. Paula Deen, Queen of Heart Attacks, is a pretty big deal in Savannah, and I went on her website to veganize a few of her tips on frying okra. They turned out prefect. I think even she would approve of these little beauties, even if they are probably the the healthiest fried food on the planet. 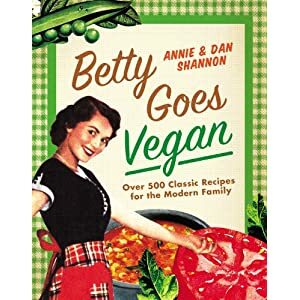 You may notice that our Red Beans & Rice recipe is bit different than Betty's. Although I'm sure hers is lovely, we decided to skip the pork rind, and to use white wine and liquid smoke to get a bit more flavor. Plus, ours only takes about 20 minutes to make, instead of 2 hours. In your sweetest dutch oven, toss in all the ingredients except Bac-Os, and turn the heat up to medium. Stir occasionally. Remove form heat when the Onions and Peppers are tender, but still a bit crisp. Then, stir in the Bac-Os before serving. In a shallow bowl, mix the Cornmeal and Creole Seasoning. Put your Applesauce into another shallow bowl. 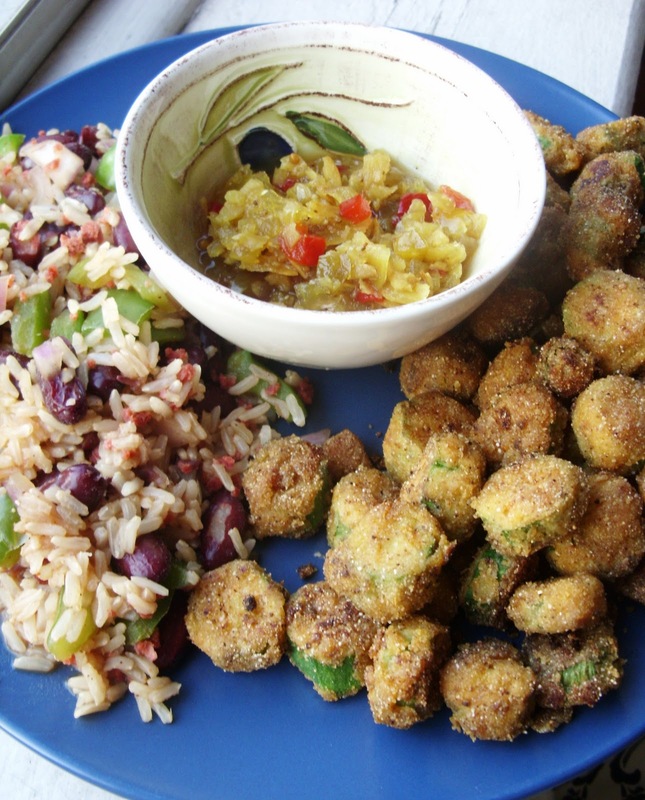 Take your sliced Okra, cover them in Applesauce, and then cover them in the Cornmeal Mix. You'll get a dusty batter covering the Okra if you do it right. Once the Okra is covered, set it aside on a plate. Just keep doing this with all your sliced Okra. In your little cast iron skillet buddy, heat about 2-3 Tablespoons of Olive Oil and a dash of Liquid Smoke at a medium heat. Pour your covered Okra in the skillet. Keep flipping the Okra to make sure it doesn't burn. It should take about 5-10 minutes to fry completely. Remove from heat when you have a nice golden coating. We served ours up with some Farmer's Market Artichoke Sweet Relish we got on the way home. I did find this stuff you can buy online if you're interested in trying the stuff you can find around here. If you want to make your own, try this recipe. Either way, fried okra and sweet relish are BFFs; like red beans and rice, and like eating Southern food and drinking icy beers while you walk along the Savannah River. Okra: NO middle line with that one. Folks love it or hate it. Me? I enjoy okra any way it comes. This is a brand spanking new way, gotta try it.